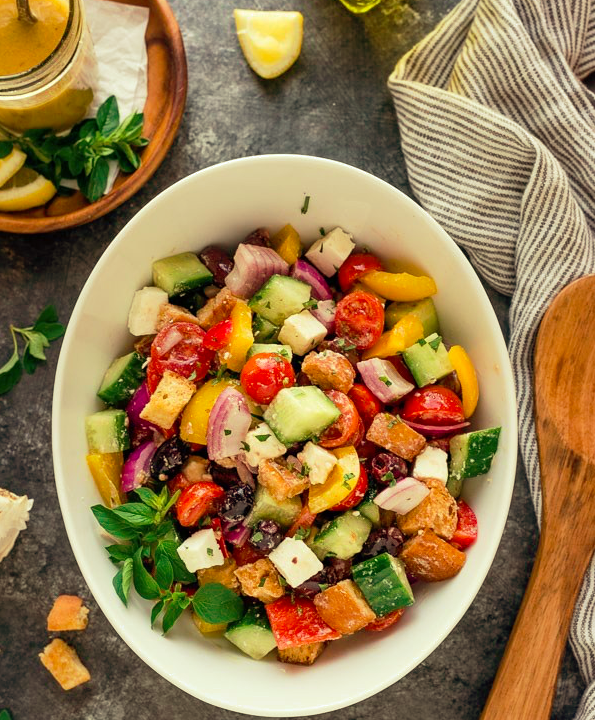 It's spring break and I'm in the kitchen today whipping up one of my favorite spring and summer salads...panzanella. This was one of the first salads I tried making when I began getting "chefie" and watching lots of the food network, haha. But honestly, it was one of the first dishes I began getting comfortable experimenting with and today I'm sharing my modified version of the Barefoot Contessa's recipe for the yummy favorite. As you'll see, you can make your own bread cubes if you have the time and so wish or you can grab a couple of bags of your favorite salad croutons and save that step. Either way, you're in for a delicious treat! Quick, classic and refreshingly satisfying...enjoy! 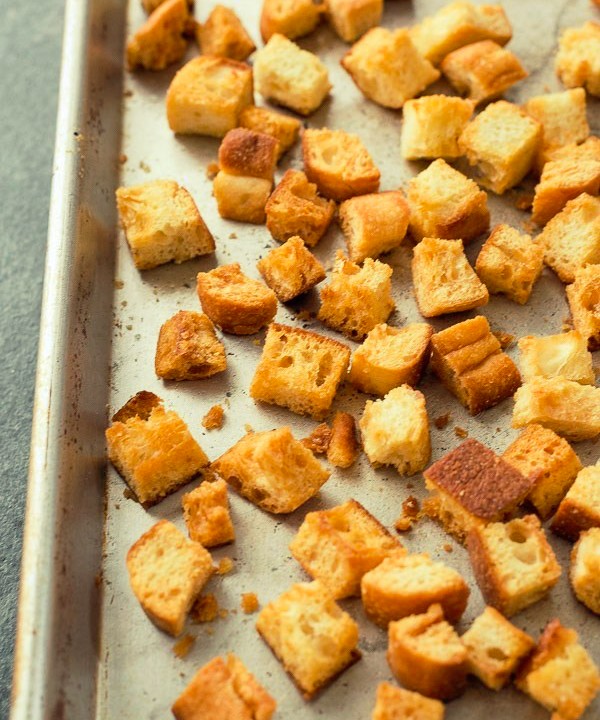 If making your own homemade croutons, heat your olive oil in a large sauce pan. Add in the bread cubes and salt then cook over low to medium heat being sure to toss frequently. Continue crisping for 10 minutes until nicely browned. You can gently add more oil as needed while going along. To make the vinaigrette, whisk together the oil, vinegar, garlic, mustard, salt and pepper. I always get out my immersion blender to whipped them up. It's super quick and gets the consistency just right. 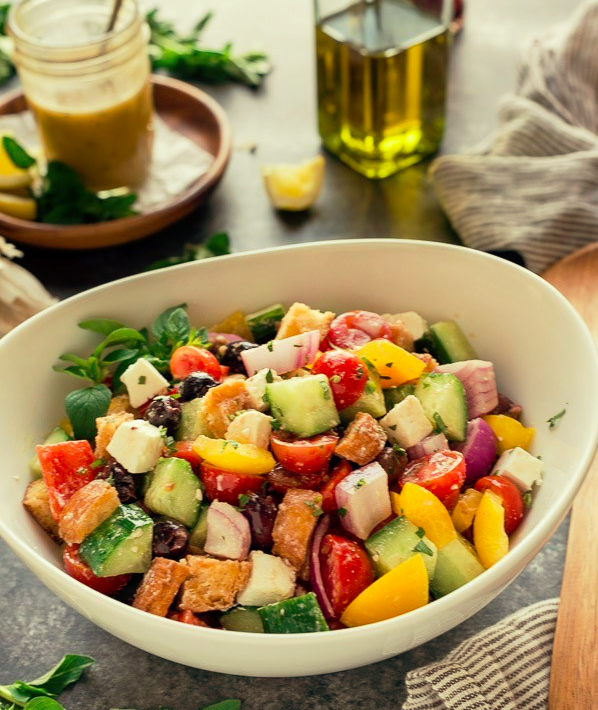 Now, in a large bowl, mix together the tomatoes, cucumber, red pepper, yellow pepper, red onion, basil, and olives. Add the bread cubes and toss altogether with the vinaigrette. Generously season it all with salt and pepper. You can serve it up right away or let it all marry for about half an hour for the flavors to blend. Yum!!! You can make this dish into a main by adding in grilled chicken or shrimp or even sausage or steak if you're a meat lover. If you do try making this one let me know. I'd love to hear how it turns out. Have a lovely Wednesday everyone!